Stretch with strength plus control. Joseph Hubertus Pilates was born in Germany in 1880. 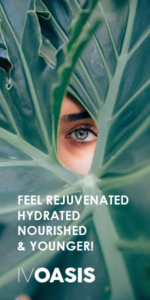 As a frail child, Pilates suffered from rickets, rheumatic fever and severe asthma however used these conditions as motivation to fuel his lifelong quest for optimum health and fitness. In his formative years, Pilates apprenticed with a physician, studied anatomy and practiced both Eastern and Western forms of exercise including yoga, martial arts, and Greco/Roman calisthenics.In Germany, Pilates achieved success as a boxer, gymnast and circus performer and was recognized for his athletic skills in skiing, diving, fencing and wrestling. At the outbreak of WWI in 1914, Pilates was interned in a prison camp in England. Mr. Pilates used this opportunity to help strengthen and train fellow internees and nurse them back to health. It was during this period that Pilates began to devise his method called “Contrology,” and created his first “bednasium,” a bed/exercise apparatus rigged with springs to help rehabilitate the bedridden, (commonly know today as the “Cadillac”). After WWI, Pilates returned to Germany briefly and was soon on his way to the United States in 1926 as the political environment in Germany destabilized. Pilates opened his private studio in New York City and worked with many renowned dancers including George Balanchine, Martha Graham and Jerome Robbins, famous boxer Max Schmelling and other notable socialites including the VanderBuilts. 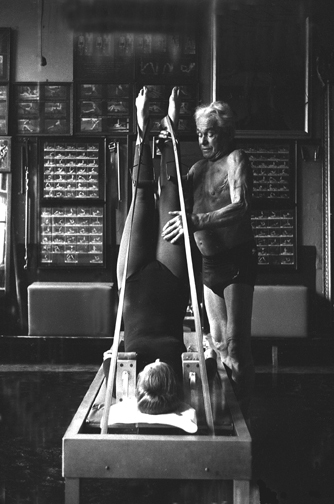 Joseph Pilates believed that “the acquirement and enjoyment of physical well-being, mental calm and spiritual peace are priceless to their possessors…(and)…through Contrology this unique trinity of body, mind and spirit can be attained.” The method is intended to restore vitality, balance, natural movement and flow of energy. 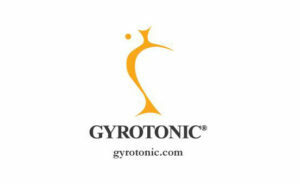 GYROTONIC® and GYROKINESIS® are three dimensional movement systems that combine the benefits of practicing yoga, dance, gymnastics, swimming and tai-chi all in one movement modality. Juliu Horvath, the creator of the Gyrotonic® system, designed the pulley tower to facilitate stretching and strengthening of muscles while simultaneously regenerating connective tissue through repetitive, circular, movement patterns. All exercises are synchronized with specific breathing patterns to stimulate the cardiovascular system. Pilates Second Generation Academy (PSGA) is our Pilates organization in Japan, dedicated to creating Pilates leaders and spreading the original teachings of Joseph Pilates. We have conducted teacher trainings and workshops in Tokyo, and other neighboring prefectures including Chiba, Nagano, Shiuoka, Ginza, Saitama, Kobe and Fukuoka.